Before iTunes, Spotify, and Pandora, going to a concert was the only way to witness true magical genius. The millions of Beatle fanatics across the world finally had their first official live LP by the Fab Four. 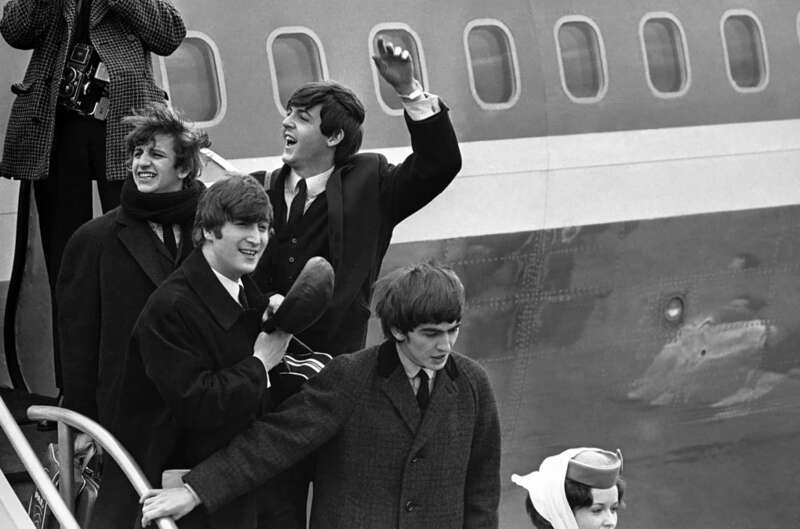 This marked the first time that the average fan could play Beatlemania at his or her own convenience - going back all those years to the magical days when the Beatles conquered America with some of the best rock ’n’ roll music ever heard. The backbone of the group consisted of two young composers - John Lennon and Paul McCartney - the greatest songwriting team that ever existed. Practically all of the Beatle songs were written separately by either John or Paul - the one who sang a Lennon/McCartney song had usually written it. (The 'team's' songwriting credit was used for publishing purposes.) After the early success, the only two songs they wrote together were Ringo's 'A Little Help From My Friends' and 'A Day in the Life,' a Lennon tune combined with one of McCartney's. Lennon and McCartney. Our heroes of the Sixties. Imagine a time when they were both in the same group. Further back than the late sixties, it was a time when the Beatles consisted of a burnt-out Lennon, a dominating McCartney, and a good new songwriter in Harrison who was as frustrated as Ringo. McCartney's attempt to take over the Beatles singlehandedly drove Lennon, in October of ’69, to permanently leave the iconic band he had formed in the fifties. In the early Sixties, the dynamite tandem of John's fine sense of rock 'n' roll and Paul's grasp of sweet melodies changed the world. To uncover the mystery of Beatlemania, let's analyze the sound contained on 1964's 'Live at the Hollywood Bowl.' John sings his guts out on lead vocal, as Paul and George add their special brand of rhythmic harmonies to 'Twist and Shout' and 'A Hard Day's Night.' The Beatles' gold mine discovery was that harmonies were music's magic. The technique was later perfected by the Beach Boys, the Who, CSNY, Yes, America and the Eagles, but none of them never sold like Beatlemania. Beatle-fever hit epidemic proportions at their concerts. Their physical appearance alone prompted hysteria: the shaking moptops, the collarless suits, Paul's diagonal hazel eyes, the lefty-righty combination of Paul's bass and George's lead guitar. The female fans provided the special effects, rushing the stage James Brown-style. Hundreds of cops had to hold them back, while attending to the fainting girls. The continuous screech made their live concerts inadequate for audio recordings and the Beatles never allowed any to be released. Capitol Records didn't care and George Martin was given the 12 year old Hollywood Bowl tapes for this album, producing his first Beatles' LP in seven years. Martin turned down the screams and turned up the music and, having heard much of this material on bootlegs, I think he did an excellent job. Without visuals, Martin has succeeded in giving the listener an accurate picture of what Beatlemania felt and sounded like. It was a unique time in music history - before iTunes, Spotify, Pandora and the rest. You had to be there to witness it, and I'm fortunate and grateful that I was.